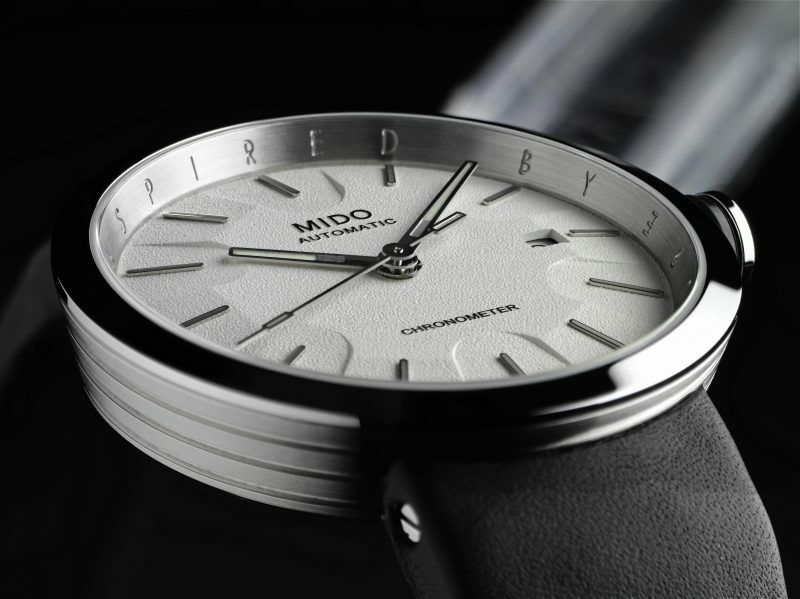 Swiss watch brand Mido has unveiled a limited-edition timepiece inspired by architecture. 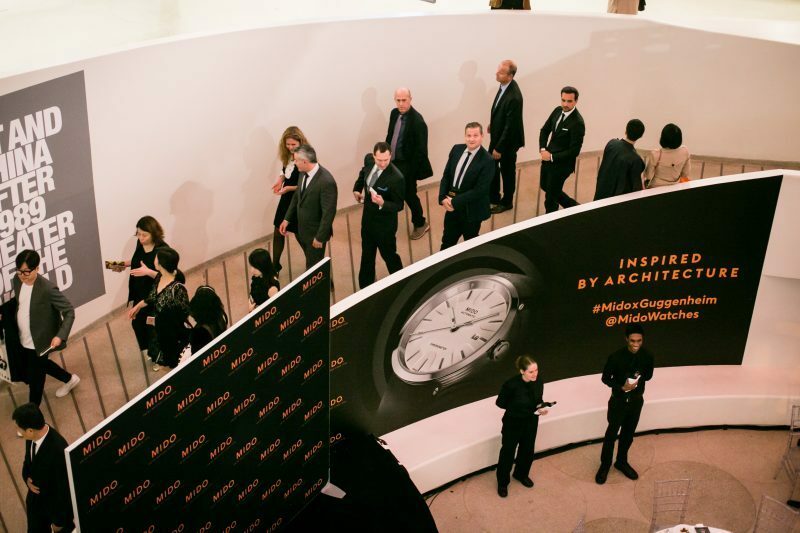 The new watch features design elements inspired by Frank Lloyd Wright’s architectural masterpiece, the spiraling structure that is New York City’s Solomon R. Guggenheim Museum. 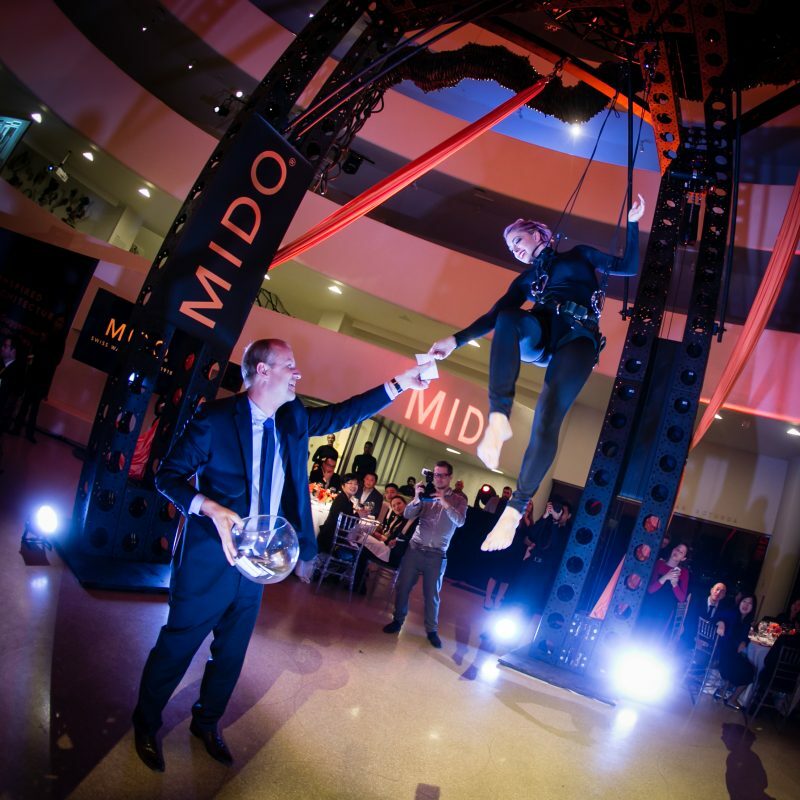 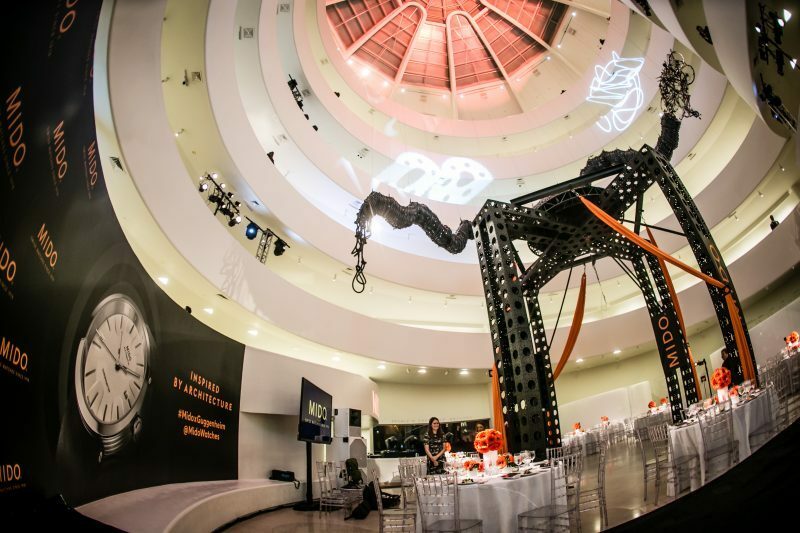 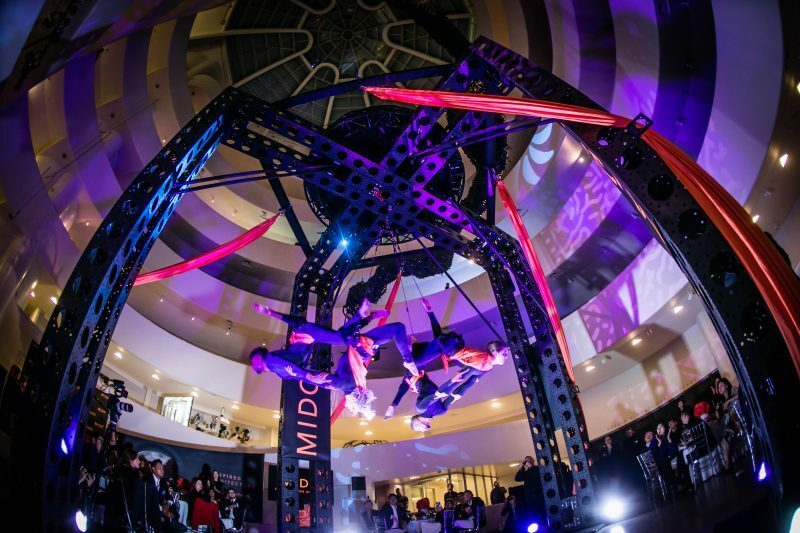 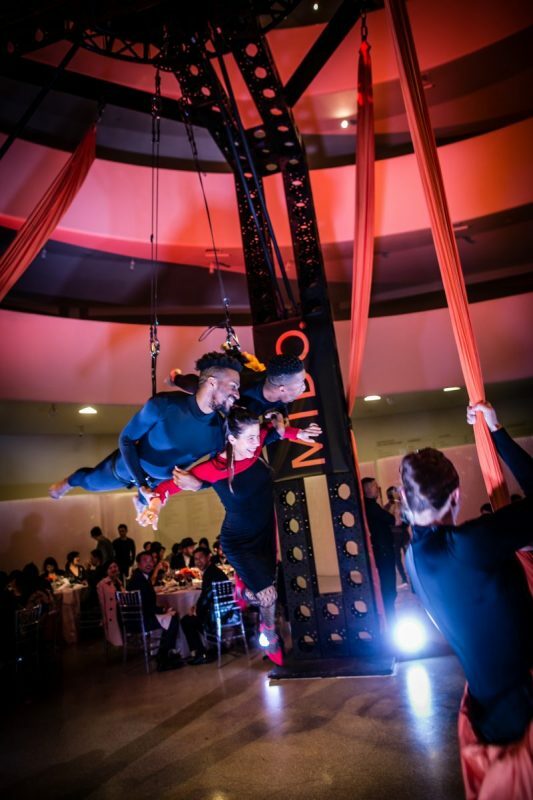 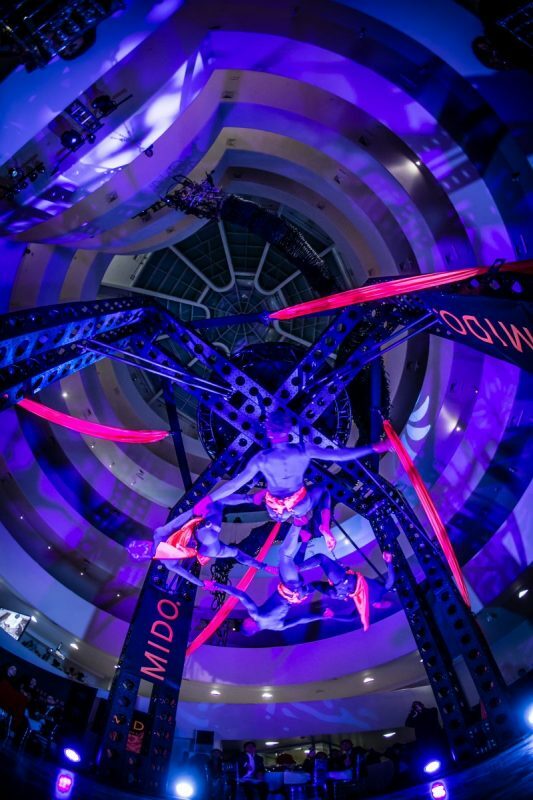 To celebrate, Mido recently held a private dinner in the museum along with private tours and an aerialist spectacle by the Grounded Aerial dancers with accompanying musice by the Voxare string quartet. 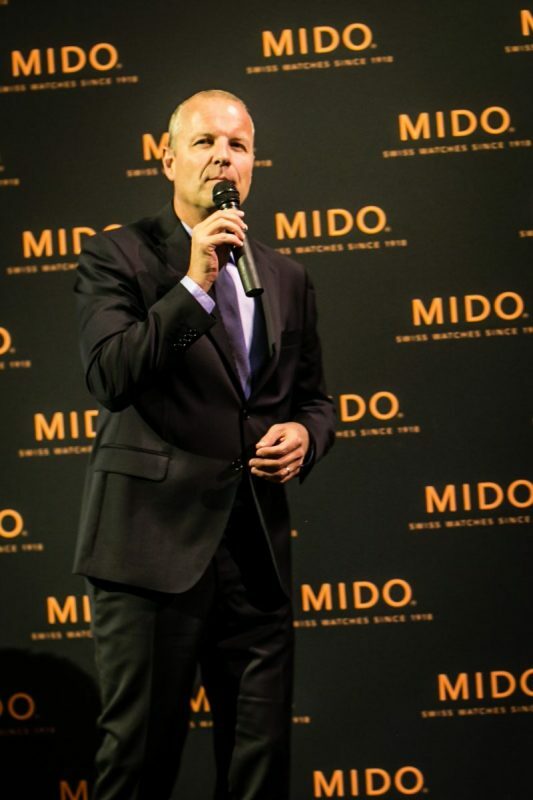 Mido began its architectural project in August of 2016 when it launched a three-month interactive campaign entitled #BeInspiredbyArchitecture in the hopes of finding a structure that would serve as the starting point for a new watch design. 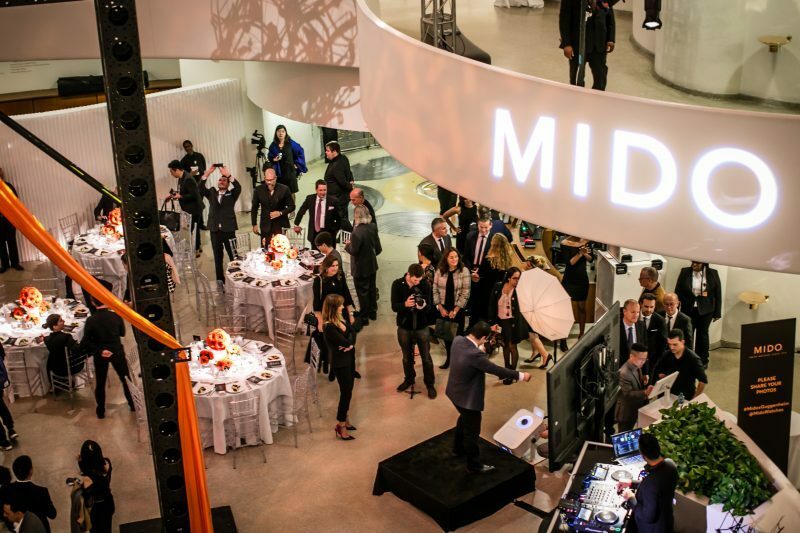 Fans were invited to suggest their favorite architectural wonders and after 12 cities and 60 iconic landmarks, Mido landed on New York City’s Guggenheim museum. 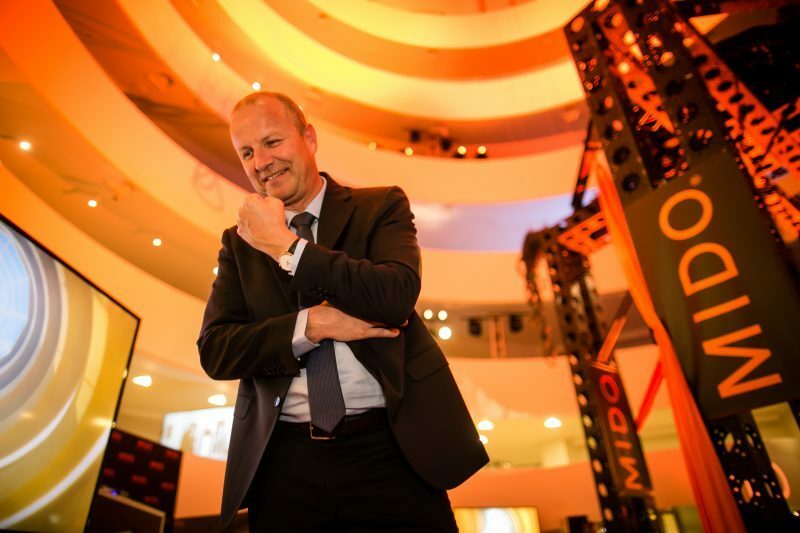 “The design of our new Guggenheim-inspired limited-edition timepiece is based on some of the most iconic architectural elements of the museum”, said Mido CEO Franz Linder. 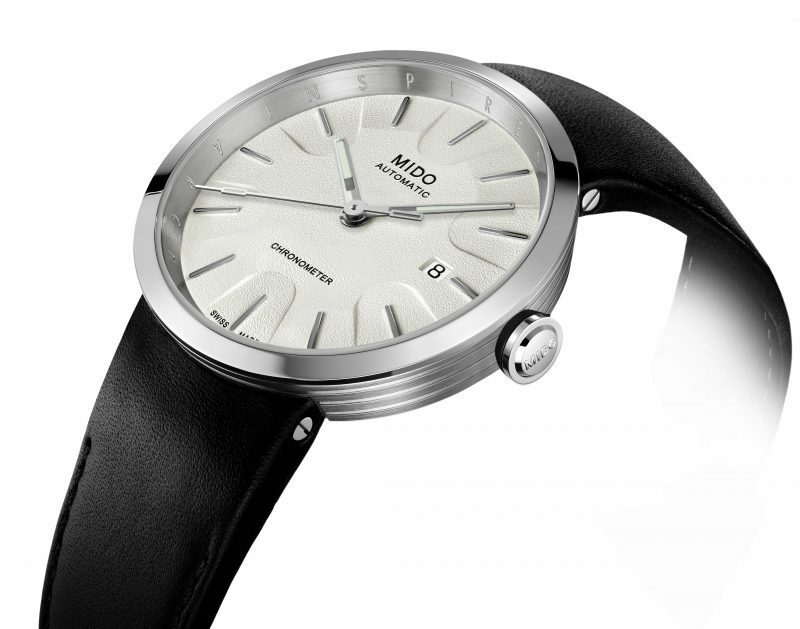 “The beautiful profile of the case resembles Mr. Wright’s iconic outer ring design, while the timepiece’s dial is inspired by the stunning glass dome crowning the edifice”. 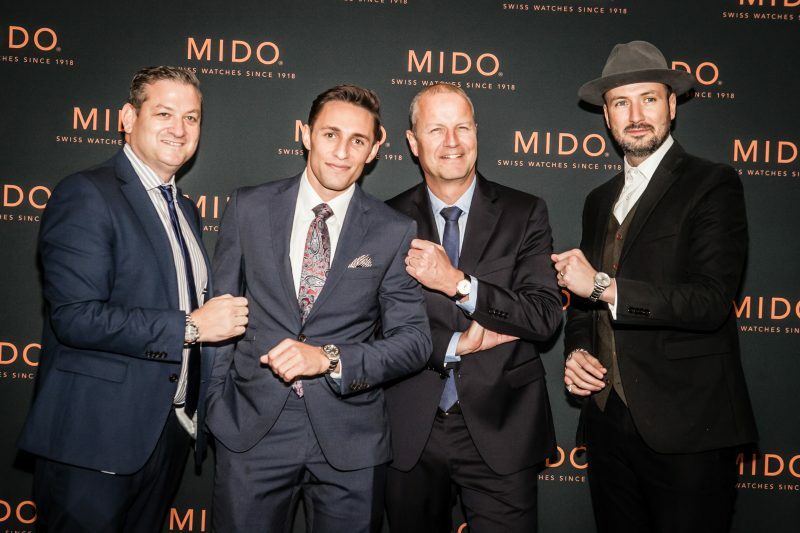 All of Mido’s timepieces have drawn inspiration from either architectural feats such as Big Ben or the Great Wall of China to the Rennes Opera House or the iron used in the construction of the Eiffel Tower. 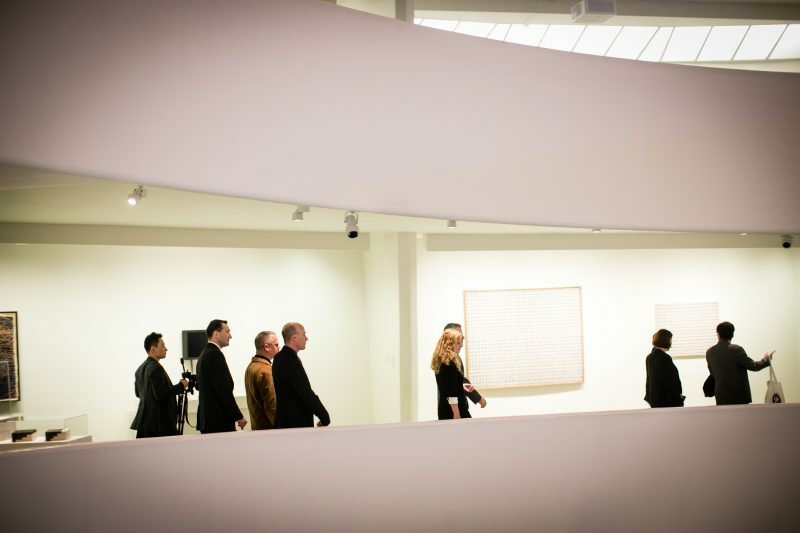 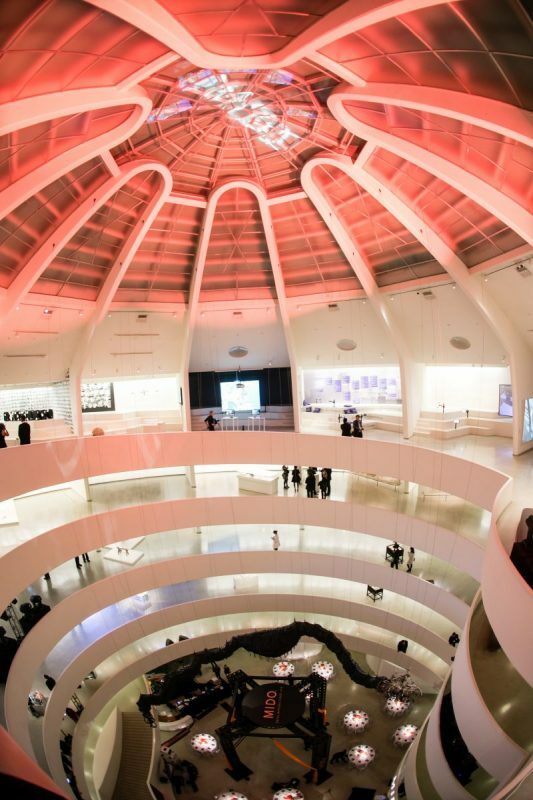 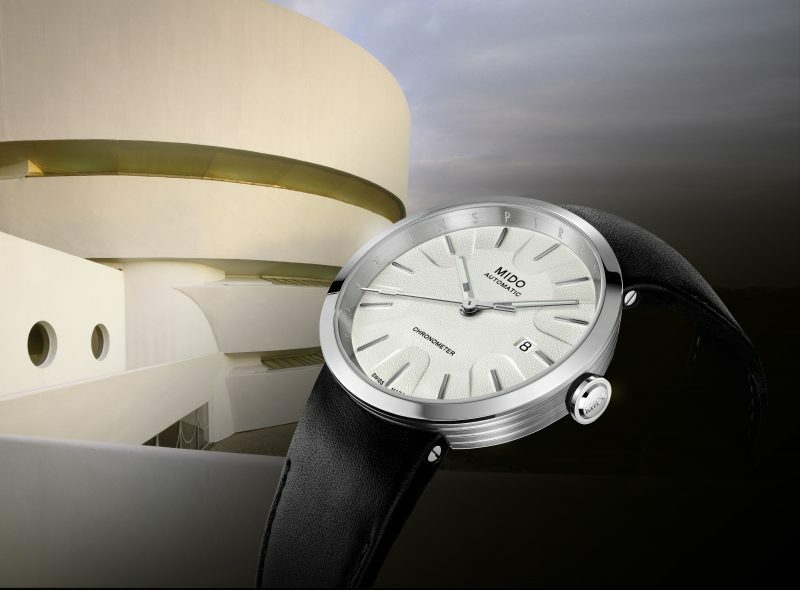 The new watch inspired by the Guggenheim will be available in a limited-edition quantity of 500.